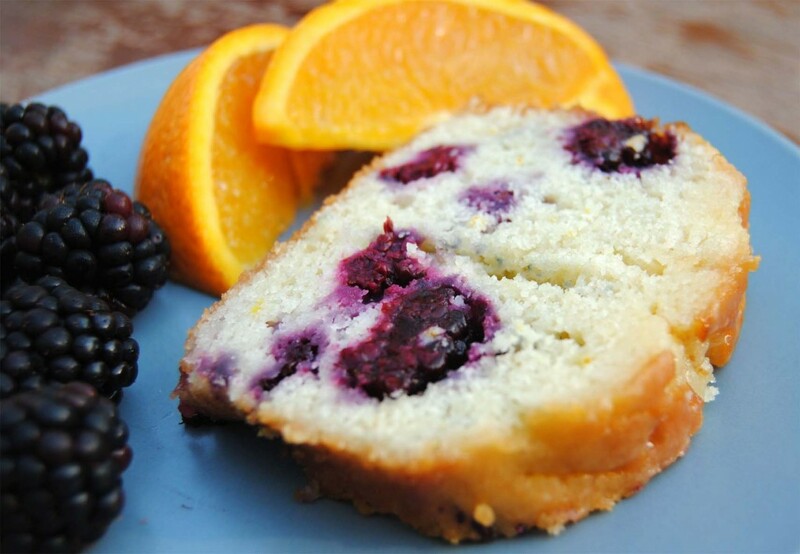 A simple buttermilk cake with fresh blackberries and a sweet orange glaze. I’m home in California for the first time in well over a year, which is at the same time wonderful and surreal. I came to meet my new, very tiny nephew Makai, who immediately stole my heart. He sleeps a lot, cries very little, and occasionally sneezes (possibly the cutest thing I have ever seen). I’m absolutely smitten! Besides getting to know my incredibly charming baby nephew, I’ve been watching my little sister adjust to being a mom. It’s amazing because despite being pretty new at the job, she already seems like an expert, and - I know it sounds cliché – she really is glowing. 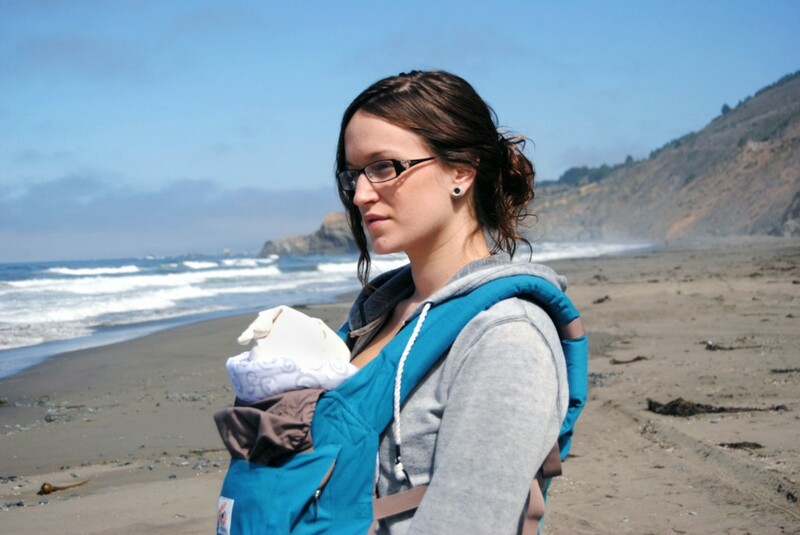 A few days ago, we drove to the coast and spent a quiet afternoon in Fort Bragg, walking along the beaches and watching the seals, while the little one napped in his carrier. It was a beautiful, relaxing weekend and the perfect way to get to know my sister’s new family. Surprisingly, I’d never been to Fort Bragg and I was enchanted by the fog, cliffs, and endless ocean. As peaceful as our trip was, it was also a bit exhausting. After all, we drove seven hours in two days, with a newborn baby in tow! So, when we got home I decided to make a simple treat for us to enjoy while we relaxed at home and recuperated from the long drive. This cake was just what we needed: simple, sweet, and satisfying. The cake itself is quite basic, but fresh, juicy blackberries and a sweet orange glaze transform it into something really special. It’s the perfect everyday cake that you don’t need an excuse to make and while it would be great at a party, it would be just as great on a quiet Monday evening at home. You can serve this cake with vanilla ice cream or whipped cream, but it is also delicious plain or with just a few fresh blackberries on top. I actually liked it even more on the second day when the glaze had really soaked in, and I had it for breakfast with a big cup of coffee. Preheat the oven to 350ºF. Butter and flour a 8 cup bundt or angel food cake pan. In a small bowl, whisk together flour, baking powder, baking soda and salt. Set aside. In a large bowl, use an electric mixer set to medium speed to beat together butter and sugar until white and fluffy. Beat in yogurt and then eggs, one at a time. Beat in vanilla. Reduce mixer speed to low and mix in half of the flour mixture. Mix in all of the buttermilk and orange zest. Mix in the remaining flour mixture. Gently fold in the blackberries using a spatula or wooden spoon. Try not to crush them or the cake will be purple! Pour batter into the prepared pan and bake 50 minutes to an hour, until a toothpick inserted in the middle of the cake comes out clean. Let the cake cool for 10 minutes in the pan, and then invert onto a serving plate. While the cake is cooling, make the orange glaze. Mix together orange juice and powdered sugar in a small saucepan and simmer over low heat until the sugar is completely dissolved. 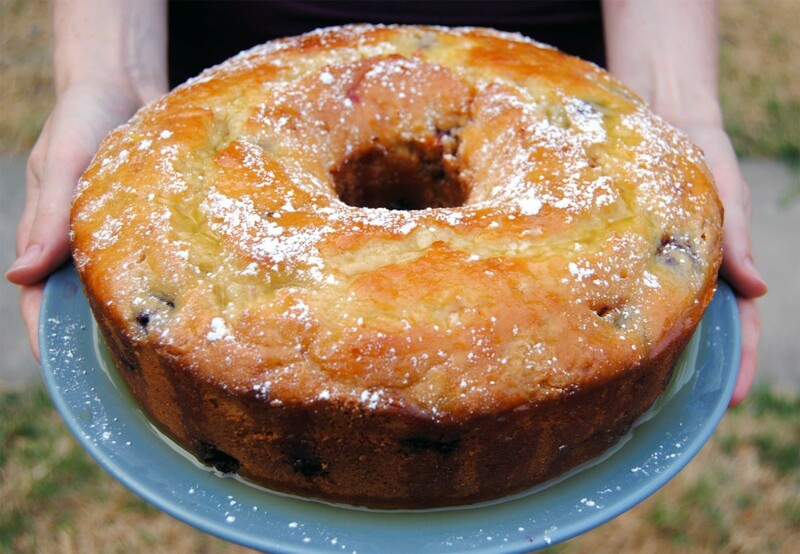 Use a knife or skewer to poke holes all over the top of the cake and gently spoon half the glaze over the cake so that it seeps into the holes. Let the cake cool for another 20 minutes, then pour the remainder of the glaze over the top. Sprinkle with powdered sugar and serve warm or at room temperature.